There are Nissan vans and Nissan commercial vehicles suited for all your Manchester jobs. If you’re looking for a new Nissan van to enhance your work commute, look no further than the new Nissan Van inventory at Manchester City Nissan. We have a commercial inventory of Nissan NV cargo vans and passenger van models in stock. When you’re ready to take your Vernon jobs to the next level, stop by Manchester City Nissan to pursue the Nissan models for sale in Manchester, CT! You’ll find plenty of features and options to upfit the vehicle that your Nissan van will be customized to be what you need on the job. 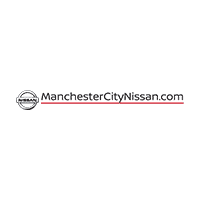 When you’re ready to check out your options, visit us at Manchester City Nissan or contact us with any questions. Our sales team is standing by to get you behind the wheel of the new Nissan van that best suits your budget and driving needs, and it’s their goal to make your van-buying process that much less stressful. Contact us today to get the process started, or apply for financing online before coming in!